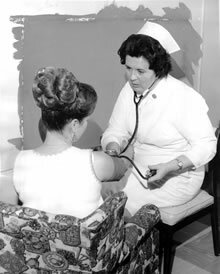 The role nurses play in addiction treatment is as vital today as in this archival photo from the Foundation's inception in 1966. Livengrin Foundation has been providing treatment services to health professionals for years and is a partner with many advocacy groups and agencies locally and nationally. The Foundation's clinical director is a former President of the International Nurses Society on Addictions. The research and perspective of our senior staff appear regularly in national professional publications. Of course, nurses, physicians and other caregivers employed in our 24-hour main facility work side-by-side with the counseling staff.